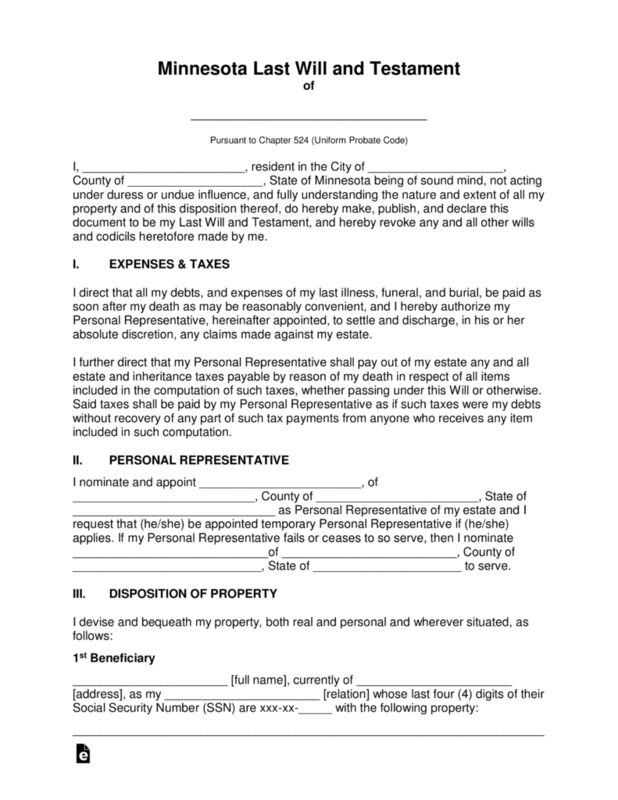 The Minnesota Last Will and Testament is considered a legal document whereas a testator (the person who will be creating the document/form) will have the ability to set forth into writing how they would choose to have their property distributed to their chosen beneficiaries upon their death. Some of the most important items for distribution may be, life insurance policies, digital property, real estate, personal property, fiduciary assets and more. Any of these items would be included for distribution to spouse, children, friends, even charities. 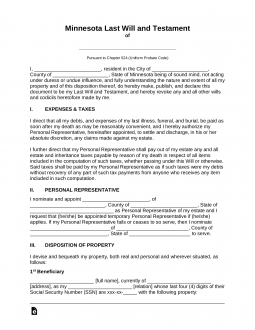 The document will require notarization and the signatures of two separate witnesses. Signing (Section 524.2-502) – Must be Witnessed by at least two (2) individuals. The Testator must carefully review the remaining information pertaining to how property is distributed in the event any member of their group of beneficiaries might pre-decease the testator.